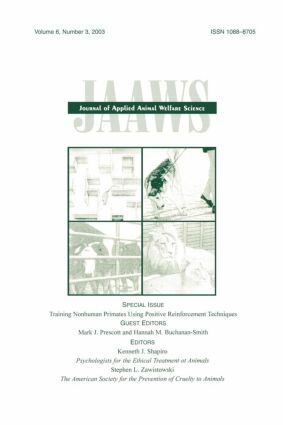 This special issue illustrates benefits to animals from positive reinforcement training (PRT) and--depending on the setting--to scientists, animal care staff, veterinarians, and in the case of the zoo, the visiting public. One important theme throughout is that training is a joint venture between human and nonhuman primate and can lead to a closer, richer relationship between the two. In summary, the editors hope this issue encourages further and wider application of PRT to primate management, care, and use, as well as aid those working with animals in applying PRT safely and effectively. Study 3: Training to Moderate Chimpanzee Feeding-Related Aggression Methods.